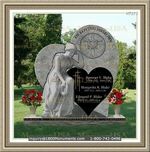 This is the information that is inscribed on the gravestone, or commemorative plaque, of one who has passed away. 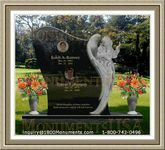 The main purpose for it is to tell visitors a little something about the person interred on that spot. 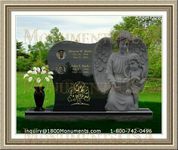 This tribute can be created in numerous different styles all depending on the author and the personality of the honoree. 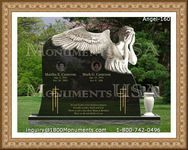 For many, traditional sentiments such as wishes for a peaceful slumber or an explanation of how loved the deceased was is all they add. The statement may be an attestation about their family relations, community work, military service or other accomplishments. It is also quite the popular choice to use a meaningful piece of scripture for this purpose.